Smart luggage offers a wide range of benefits to your travel experience. If you’re in the market for such modern marvels, check out our Away vs Raden smart luggage comparison below. 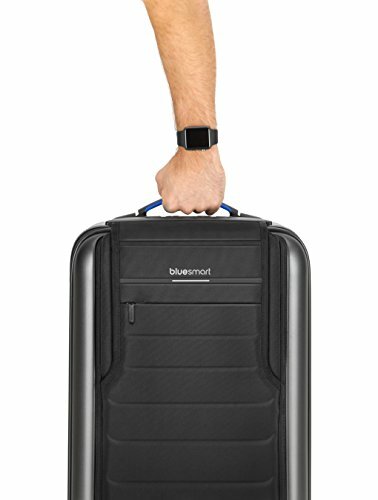 The best smart luggage offers a wide range of features you won’t find on any old piece of baggage. 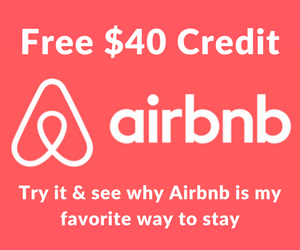 They can charge your devices and connect to Bluetooth and Wi-Fi. Many of them also have GPS tracking for lost luggage and electronic locks for extra protection. Some models even have electronic scales integrated into the bag, so you don’t need to worry about exceeding any weight limits. If you’re considering getting a new piece of smart luggage for your next trip, our Away vs Raden luggage reviews are a great place to help you start to choose the right model. 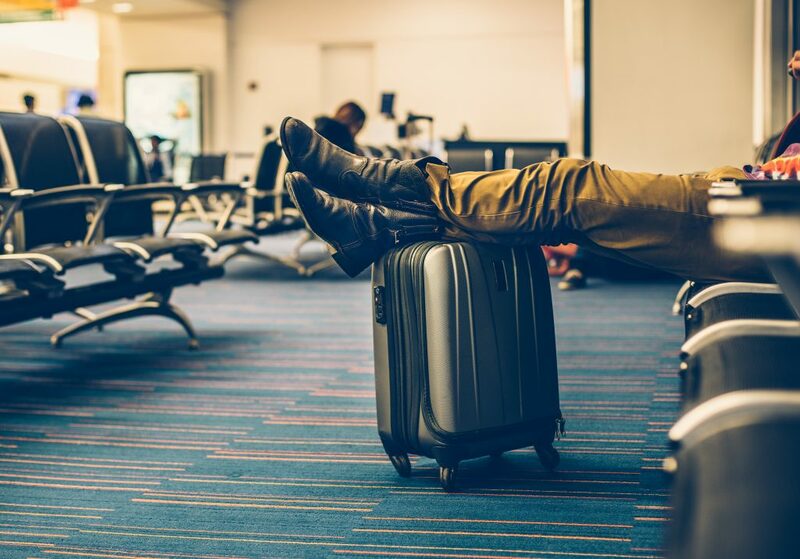 If you want to find the best modern luggage around, you’ll need to compare luggage brands to see which ones have the features you’re looking for. 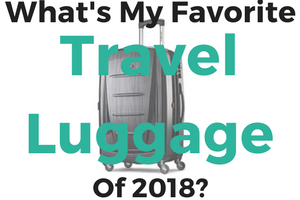 Since Away and Raden are both top luggage brands who specialize in this type of baggage, comparing the two is a great place to start. For our Away vs Raden luggage review, we’ll be mostly looking at the carry-on bags, with a bit of info on their checked bags thrown in for good measure. The Away Carry-On luggage uses an electable battery inside their bag. This feature complies with airline policies since such batteries could be considered a fire hazard. This battery has enough juice to charge your smartphone up to five times before needing to be recharged, with two USB ports for charging multiple devices at once. The A22 Raden carry-on also uses a removable battery, for a safer piece of luggage. The battery is stored in a zippered pouch for easy access. But just because it isn’t in the carry-on doesn’t mean you can’t use it. The battery doubles as a portable charger even when used on its own. 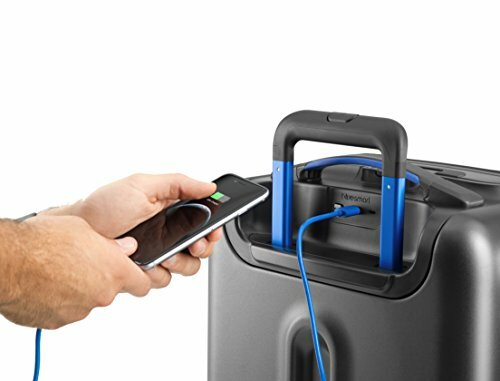 The carry-on can fully charge a phone up to 4 times and has 2 2.1A USB ports to give you more access when multiple devices need charging at the same time. Unfortunately, this is an area the Away luggage is lacking. None of the carry-on or checked bags have any type of self-weighing system, so you need to use a home scale or your best judgment to make sure you’re staying within airline weight regulations. The Raden A22 has an ergonomic carry handle on the top of the bag, which also doubles as a handy scale. This helps you determine just how much your packed piece of luggage weighs. The larger A28 checked luggage also has this feature for added convenience. Be advised that the weight may fluctuate when you lift up the bag, so be careful how you pick it up. 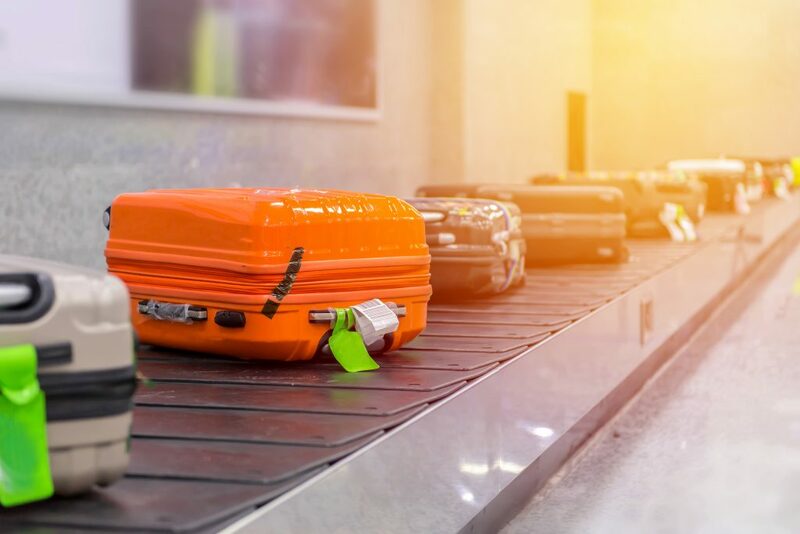 Though you likely won’t need location tracking on a carry-on, it’s handy to have on the checked bags to ensure you can find them if they’re misplaced. But the Away luggage doesn’t have any type of tracking system on any of their bags, so this is another downside to these pieces of luggage. 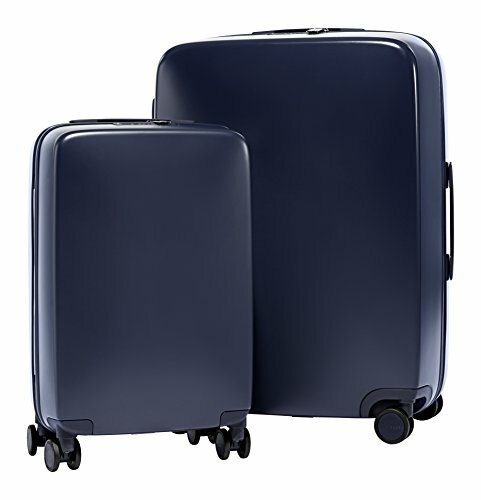 The Raden A22 carry-on and the A28 checked luggage both have proximity sensors for their location tracking technology. This links up to your Bluetooth, so you can keep track of where your luggage is at all times. You can read this post to understand the different luggage tracking technologies out there. Of course, it doesn’t give you an exact location, just lets you know when you’re getting closer to the bag, so some people may not find this as handy as a GPS or other more accurate location system. In the Raden vs Away luggage comparisons, sizes are where Away luggage takes the cake. The smallest model in the line is The Carry-On, which has a 39.8 L capacity. Next is The Bigger Carry-On, which boasts 47.9 L of space. There is also The Bigger Carry-On With Pocket, which holds 46 L, and The Aluminum Edition, which stores 40.9 L worth of gear. For the Away checked bags, there are two sizes to choose from. These are the Medium, which has a capacity of 68.8 L, and The Large, which has a huge 99.2 L capacity inside. The Raden line only has two pieces of luggage to choose from. These are the A22 and the A28. The A22 holds up to 35 L of gear, while the A28 has a 106.7 L capacity for those who like to bring everything but the kitchen sink when they travel. You don’t want your bag to weigh you down, especially before you’ve filled it with all your gear for your next trip. That’s why the Away luggage is all lightweight for an easier bag to carry. The Carry-On is only 7 lbs, and the Medium is only 1.5 lbs more than that. The Raden luggage follows these same guidelines, though their bags are a bit heavier at 8.4 lbs for the A22 and 13 lbs for the A28 smart rolling luggage. For a suitcase to be durable enough to last through countless trips, it needs to be made of quality materials that won’t crack under the slightest bit of pressure or the smallest knock. 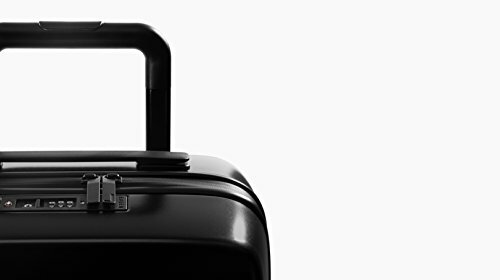 The Away smart carry-on luggage has a polycarbonate shell, which is virtually unbreakable. This shell has a bit of give to it so it will bend under pressure, but it then bounces back to its original shape with no damage. The Raden matches this strength in our luggage comparisons, using a Makrolon Polycarbonate shell that offers complete protection, withstanding impacts. Raden’s website even has a video showing a person jumping on the suitcases, which bends in and then back out again, with no visible damage of any kind. For features, the Away line uses 360-degree Hinomoto wheels for smooth rolling and fast turns. There is also a TSA-approved lock on the outside to lock the dual zippers closed. Inside the Away bags are two compartments. One of these is meant for your clothing, while the other is perfect for your shoes, toiletries, and any other items you need. There is a divider on the clothing side which uses compression straps to hold everything in place. There is also a zippered divider on the top compartment to help keep those items organized. There is even a nylon laundry bag included with the Away luggage to store your dirty or wet clothing away from the clean stuff. And when you’re trip is over, your bags can be stored inside each other like Russian Nesting Dolls, taking up less space in your closet. The A22 carry-on also has a few handy features to make it well worth the price. First is the TSA-approved lock, to keep your gear safe while giving airline officials full access to your bags. There are also 4 360-degree spinning polyurethane wheels, with Japanese wheelbases for extra durability. 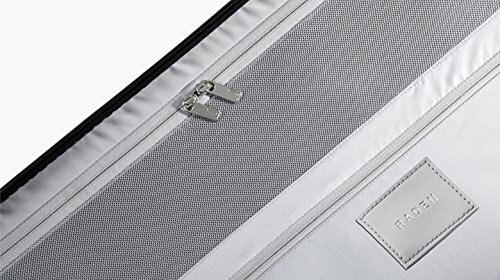 On the inside of the Raden bags is a reversed zipper lining, which uses a polyurethane overlay. This gives your bag a waterproof seal, so you’ll never have to worry about wet clothes, even when walking in the rain. There are two large compartments, each with its own divider to keep your clothing and other items separate. And each divider has its own mesh pocket to keep your smaller items organized. If you’re spending your money on the top travel luggage brands, they better look fantastic, so you can show them off. The Away Carry-on has a sleek outer shell, with a smooth surface broken by horizontal lines over the front and back. The Carry-On has 13 colors to choose from, so even the pickiest shopper should find at least one they like. The other sizes in the line have just as many colors as well, so you can match all the pieces. The Raden A22 comes in five colors, all with a stylish Gloss finish. But for the Navy and the Hunter shades, you can also choose a Matte finish instead, depending on your personal taste. But the A28 only comes in Navy and Hunter, both with only the Matte finish. 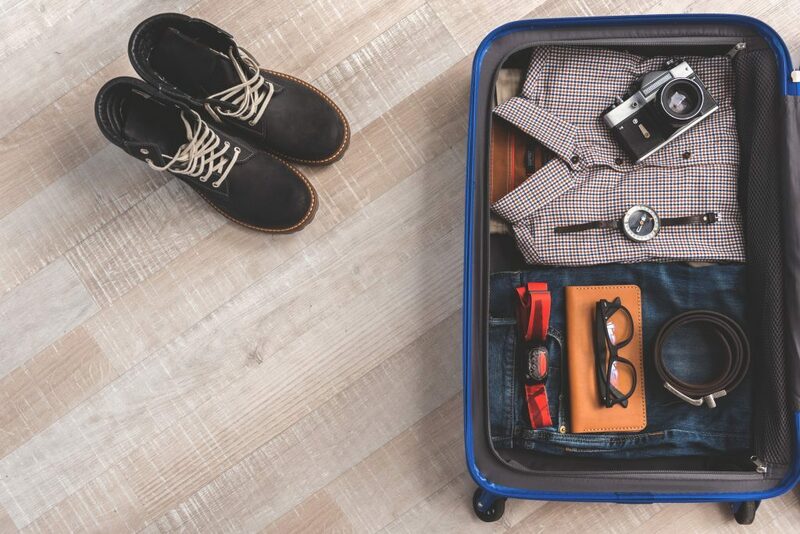 Whether you’re comparing Away vs Raden, or checking out a few other top brand suitcases, you want to make sure you have the right size for your trip. 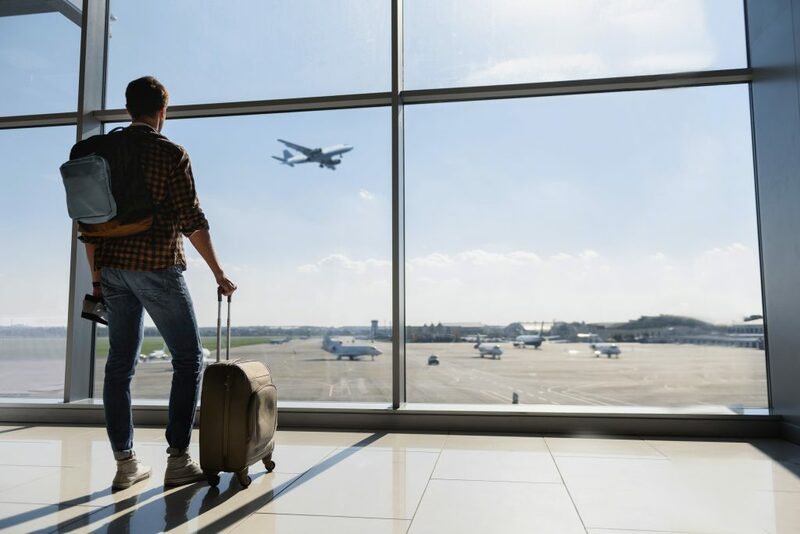 For instance, if you are only going away for a night or two, the smaller carry-on bags may be enough to carry the clothing and toiletries you need. But if you’re heading out for a week-long vacation where you’ll need beachwear, casual clothing, and maybe even a few dressy items, you’ll need the larger capacity of a checked bag. This way, you won’t have to sacrifice any of your belongings to fit it all in. You also want to remember that the larger the bag, the heavier it will be on its own, not to mention what it will weigh when you have it fully packed. 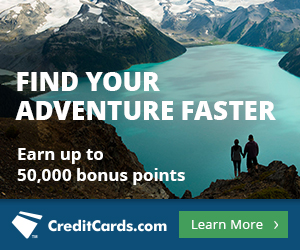 Be sure to stay within any airline weight restrictions no matter what you need to carry. 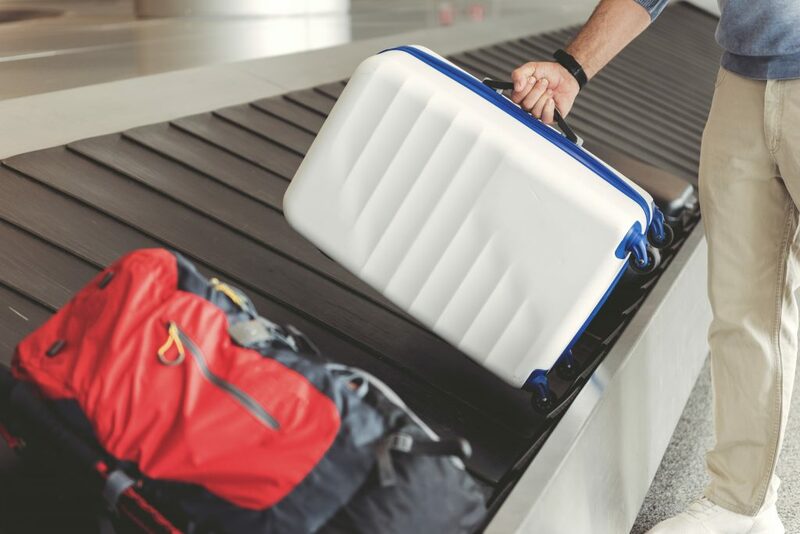 As with any other luggage, smart luggage needs to be durable enough to withstand the rigors of travel. This includes rolling through a busy airport, being lifted and shoved into an overhead bin, rough treatment by baggage handlers, and some turbulence. This is why the best quality luggage brands use strong materials for the shells, as well as the wheels and their housing. Polycarbonate is extremely strong, withstanding even the hardest impacts. Some brands also use aluminum, which is incredibly durable as well. But no matter what material used, it needs to last, so be sure to check out at least one smart luggage review before you buy. Let’s be honest, smart luggage like those in our Away vs Raden comparison costs quite a bit of money. So, it better look as good as it works, or you may not feel like your hard-earned money was well spent. Most of the best-rated luggage brands are sleek and stylish, with decent color options and a great finish. But they also give you a decent interior, even though you’re likely to be the only one that’s going to see it. Of course, the lining needs to be as durable as the outside, so it doesn’t tear as you pack it. So, don’t just judge your new luggage on how it looks. If you’re going to buy smart luggage, you’ll want the smart features. These could include an integrated scale, an internal battery for charging your phone and other devices, electronic locks, location tracking, and even the ability to connect to Bluetooth or Wi-Fi. Of course, not every suitcase will have all of these, so the more you want, the higher the price for the bag will be. Pick only the ones you think you’ll really need. Other handy features on smart luggage, or any other type of suitcase, are TSA-approved locks, internal compression systems, dividers to keep your belonging separated and organized, and a few internal pockets. The Away line reviewed above also includes a handy laundry bag, which helps keep wet or dirty clothing from soiling the rest of your bag’s contents. There have been some concerns about the internal battery packs found in smart luggage being fire hazards. For this reason, many airlines have banned smart luggage that has these packs integrated into the bag. So, does this mean you can’t use your smart luggage on airplanes? Well, no, it doesn’t. It just means you need to be able to remove it from your checked bags. 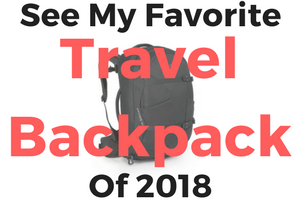 You can still carry it with you onto the plane, and you don’t need to take the battery out of the carry-ons, as long as they are with you at all times. If a fire does happen, it can be addressed immediately on the plane, where checked bags are left unsupervised during a flight. So, before you buy your new piece of smart luggage, be sure the batteries are removable, or the bag may only be usable for trips by car. Away vs Raden – Which Smart Luggage Should You Buy? Our world is becoming more technologically advanced every day, or so it seems, so it is no wonder our luggage is following suit. Smart features on a suitcase can have their benefits, giving you some piece of mind along with a few extra uses. In our Away vs Raden luggage comparisons, both brands have many similar features. These include the durable shells, the dual internal compartments, and the removable battery. But there are also a few significant differences. The Away line has more sizes to choose from, are lighter, and the carry-ons have larger capacities than the Raden model. Away luggage is also cheaper, with more color options, and even a handy laundry bag for dirty clothing. But aside from all that, this is an Away vs Raden smart luggage review, and the Away lacks the technology the Raden brand offers. 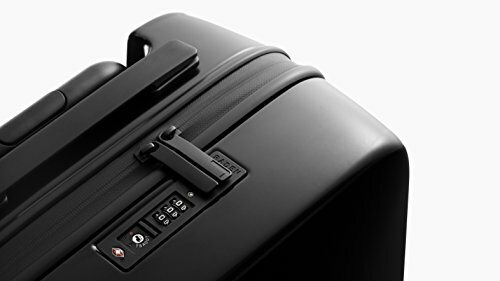 Raden suitcases have the integrated scale on the handle, plus the location tracker to help you find your bag. 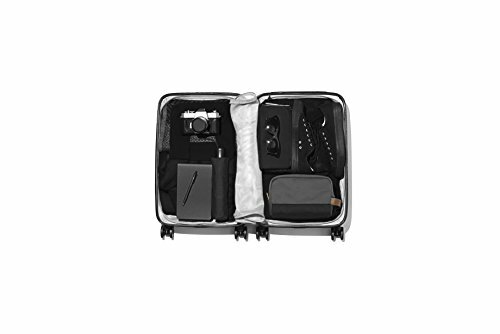 And though it isn’t a smart feature, the Raden line has a few internal pockets to help keep your smaller items organized inside your luggage. So, if you’re just looking for a regular suitcase with a battery pack, the Away line is a great choice, especially for the price. But if you want a true piece of smart luggage, the Raden luggage is the way to go.